PACE Director Sandra Shapshay: "It has been an absolute joy to help bring "theory to practice" by fostering the skills of informed, political and civic engagement both inside and outside of the classroom during the 2017-18 academic year. 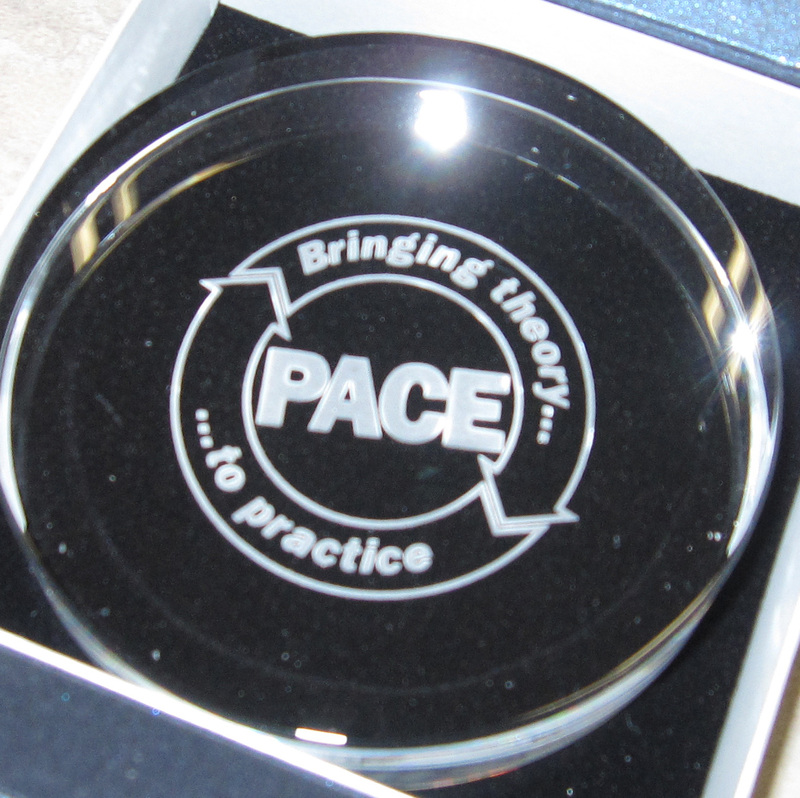 Since its start in Fall 2009, the PACE program has seen a steady growth in the number of Certificate students, and this past fall we added a PACE Minor in Leaders and Leadership to our curricular offerings. We even graduated our first Leadership minor student in May 2018. At the end of the spring semester, we held steady at 73 students pursuing the PACE Certificate (with 14 graduating this spring). This fall we also added the new Minor in Leaders and Leadership, and we currently have 6 students pursuing the minor." 2017-2018 was a year for curricular expansion of the PACE program as well as for a full-throttle push to increase student electoral engagement at IUB. In order to support the increasing number of students in the program, as well as the new Leadership Minor offerings, we recruited the wonderful and multi-talented, Kara Reagan, J.D. (a practicing lawyer and IUB alumna) to teach a section of PACE-C 250: Leadership and Public Policy in fall and spring. Additionally, two College faculty will teach core courses in the PACE program in the next academic year: Prof. Aurelian Craiutu, from Political Science, will be teaching PACE-C 250: Leadership and Public Policy, and Prof. Marco Arnaudo, from the Dept. of French and Italian, will be teaching PACE-C 100: Intro to Theories of Leadership. We were also very fortunate that Profs. Laurie McRobbie, First Lady of IU, and Sarah Nathan, on faculty in the Lilly Family School of Philanthropy at IUPUI will be co-teaching PACE-C 300: Philanthropy in the 21st Century in Fall 2018. Another major development in the PACE program has been the increased faculty engagement with "Reacting to the Past" (RTTP) pedagogy. Several of our faculty and Faculty Advisory Board members have been utilizing these RTTP role-immersive, historical simulations in their teaching for quite some time (Alex Lichtenstein and Carl Weinberg have utilized simulations of intellectual controversies in American Civil Rights movement of the 1960s; Lisa-Marie Napoli has utilized a simulation of the intellectual ferment surrounding the women's suffrage movement in the early 20th century). This past year, PACE received a highly competitive grant from the Endeavor Foundation to send a team of 5 faculty (including our core PACE faculty and a couple of others from around the College) to attend a conference where we learned and/or deepened our understanding of this pedagogy, which was pioneered about 15 years ago by Barnard College professor Mark Carnes and is now being taught more frequently around the country. PACE also started PIRTL (the PACE Institute for Role-Immersive Teaching and Learning), under the dynamic and immensely capable direction of Carl Weinberg. PIRTL's mission is to broaden the use of this highly engaging pedagogy on IUB's campus, and especially in the College of Arts and Sciences, and will be organizing a hands-on RTTP workshop in spring 2019 in order to expose faculty to this engaging way to teach the history and contemporary relevance of especially political ideas. publicizing the new central campus polling place at the University Club in the IMU, which PACE alumna, Maggie Eickhoff (with support from Bernard Fraga and Sandra Shapshay) helped to make a reality. This past spring, Lisa-Marie Napoli, along with the Monroe County Election Board and others held a "Spring into Civic Engagement" event at the University Club, complete with a mock polling site and voter registration booths. Our co-curricular events this past year included a panel on the controversial Thomas Hart Benton murals in Woodburn Hall 100. Alex Lichtenstein (History) expertly moderated the panel, which included Eric Sandweiss (History), Carl Weinberg (PACE/History/LAMP), Nanette Brewer (IU Curator), Kevin Brown (Law), Ashley Scurlock (PACE student), and Devin Brown (Law student) who presented their views on whether classes should be taught in WH100 given the presence of the controversial KKK panel. Their remarks were followed by lively, but mostly civil dialogue with over 100 students, faculty and staff in attendance. Shortly after this event, Provost Robel issued her statement that the room would be de-commissioned as a classroom. Breakfast discussions for PACE students were held with Tocqueville Program speaker, Prof. Peter Levine (Tufts University) on a chapter of his book, We are the Ones We have Been Waiting For: The Promise of Civic Renewal in America (OUP 2013); and with Patten Lecturer, Prof. Kathleen Hall Jamieson (Univ. of Pennsylvania) on her paper "Implications of the demise of 'fact' in political discourse" (Proceedings of the American Philosophical Society, 2015). This academic year, for the first time, both semesters of PACE-C250 (Leadership and Public Policy) classes were able to take a field trip to the Statehouse in Indianapolis, where students met with legislators, advocacy group leaders, and numerous staffers to learn more about how the legislative branch functions at the State level in Indiana. Additionally, the longstanding tradition of C250 PACE students attending local City Council meetings continues each semester by offering an opportunity for students to observe local government in action and to assess leadership skills. Issue Forum: "The Role of the Media"
In February 2018, we held our annual Issue Forum on the topic "The Role of the Media in American Society." The forum featured expert panelists on the topic from around the area: Tom French (Riley Endowed Chair in Journalism; Professor of Practice, IU Media School), Wes Martin (News Director, WFHB Community Radio), and Elaine Monaghan (Professor of Practice, IU Media School). Students met in small groups, both before and after the expert panel, to discuss assigned readings, to listen to varying perspectives on the issues, and to further develop their own thoughts on the issue. At the end of the day, students brainstormed ideas to respond to the challenges of navigating the media responsibly and discerning "fake" from actual news. The forum attracted 88 participants and utilized the moderation skills of 20 PACE student moderators. Our students have stayed active in the community by completing internships locally with Mother Hubbard's Cupboard, the Dan Canon campaign, the Liz Watson campaign, Middle Way House, and the Monroe County Energy Challenge sponsored by the Mayor's office. At the State level, students have interned with the Indiana Civil Rights Commission, and with the House and Senate Republicans and Democrats. And, extending their reach to Washington, D.C. and Capitol Hill, our students have interned on the national level with the D.C. Public Schools, Public Defender Service, Senator Joe Donnelly's office, and Data Trust. Finally, students participated in internships at various sites in Indiana and beyond, including a Town Clerk's office, a County Courthouse, and an independent farm doing cutting edge agricultural work. Thanks to the generosity of Steve and Lisa Block, we were able to offer several $500-1,000 Block Scholarships to defray the costs of doing these life-changing, but often unpaid, internships. We also have also received generous funding from IU's Office of Engaged Learning to support our students. This is the second summer in which we have received nearly $9,000 to help defray internship costs now for over 20 PACE students. To further support students' professional skill development, PACE's Voices for Democracy and Civility provides students with opportunities to assist in community deliberation work and to present information about their experiences at national conferences. This past spring, in collaboration with the Office of International Development, four PACE students participated as moderators to facilitate conversations among Burmese students about safety and justice issues. Next, in collaboration with the Gnarly Tree Sustainability Institute and the Environmental Resilience Institute, PACE student, Allissa Aardema, was actively involved in assisting, co-moderating, and notetaking at various stages of the process. A conference proposal was recently submitted for Allissa to talk about her experiences and join Lisa-Marie and IU's Maria E. Hamilton Abegunde in attendance at the upcoming National Conference on Dialogue and Deliberation in early November 2018 in Denver. Finally, recent PACE graduate Maggie Eickhoff attended the 2018 Civic Learning and Democratic Engagement conference in Anaheim, CA. Maggie was a co-presenter with Lisa-Marie and faculty from Virginia, Illinois, and Michigan in a presentation entitled "Transformation by Design: The Integration of Deliberative Talk to Transform Democracy."